To install your WordPress theme, you have a few options which we will take you through the different options below. 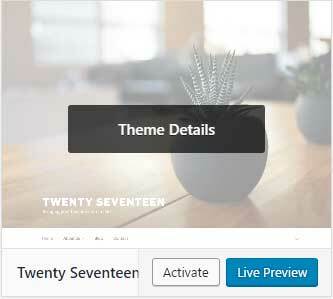 Whether you are installing a free theme, child theme, or a premium theme, the process will be the same. This is the most common and easiest of methods. Click on the linked theme name to download the theme’s zip file. If for some reason you are unable to install a theme with the WP theme installer, you can use the FTP (File Transfer Protocol) method. You will need an FTP program to do this, such as the one I use, called WS_FTP Professional, or, you can use a free one called FileZilla. Double click the zip file to extract it (sometimes referred to as unzipping a file). This will create a folder named after the theme and will contain all of your theme files in it. You will know by looking inside and finding the style.css file in it. Upload the theme folder that you extracted from the zip into the “themes” folder. You might see other theme folders there too, such as the twentyseventeen, twentysixteen, etc.